the women of the household, whether willingly or not, join in, with mistress/servant divisions temporarily set aside. ‘Though we adore men individually, we agree that as a group they’re rather stupid’, Mrs Banks sings, knowingly. Yet when Mr Banks enters, home from his work at the bank, it is clear that his wife adores him and supports his masculinist construction of the world. Mr Banks knows his place in the world, and everyone else’s: ‘It’s grand to be an Englishman in 1910. King Edward’s on the throne, it’s the age of men. I’m the lord of my castle, the sovereign, the liege; I treat my subjects – servants, children, wife – with a firm but gentle hand; noblesse oblige!’ His search for a new nanny shows his desire to perpetuate this patriarchal world, yet he is an appealing figure in many ways; a bit of a buffoon, but well-meaning, though deluded. The film focuses, of course, on Mary Poppins’s reign in the Banks nursery. Her magic comes much more easily to Jane than to Michael, but both children benefit from the magic of walking through pavement pictures, tea-parties on the ceiling, and dancing chimney sweeps. The anarchy she brings into the well-regulated life of Mr Banks is delightful, but it also indicates a deeper anarchy, that of a world on the brink of change, both in the period depicted, and in the time the film was made (1964). Based on the books by P.L. Travers, in a series which started in 1934, the premise is that chaos appeals to children, but also that chaos can have its own structure. With Mary Poppins in charge, the children learn that the world can have many different types of logic, from that of magic to that of the ‘Fidelity Fiduciary Bank’. They also learn that happiness comes more readily in Mary Poppins’s world than in their father’s. The film seems to offer a critique of patriarchal values, from Mrs Banks’s suffragette song, to Mary’s interactions with Mr Banks, where it becomes obvious that his background and values do not make him happy, and that he is himself as much a victim of a rigid, patriarchal society as women and children. In ‘A Man has Dreams’, when Mr Banks sings with Bert, he finally seems human and vulnerable, and one of the loveliest moments in the film has to be his eventual rejection of the oppressive world of the bank when he instead goes to fly a kite with his family. 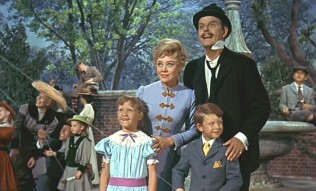 ‘Feed the Birds’, the central piece of the film, demonstrates the love and compassion which Mr Banks is lacking, but which he eventually finds with the help of Mary and Bert. 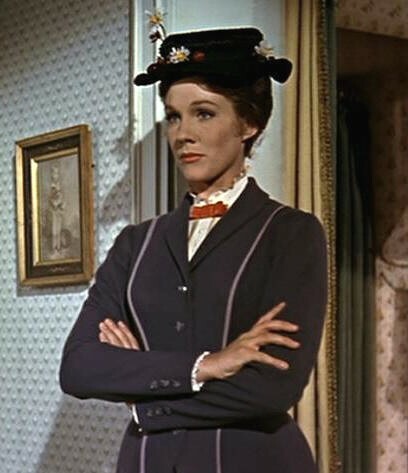 Ultimately, I am not suggesting that Mary Poppins is a feminist film; it’s not. 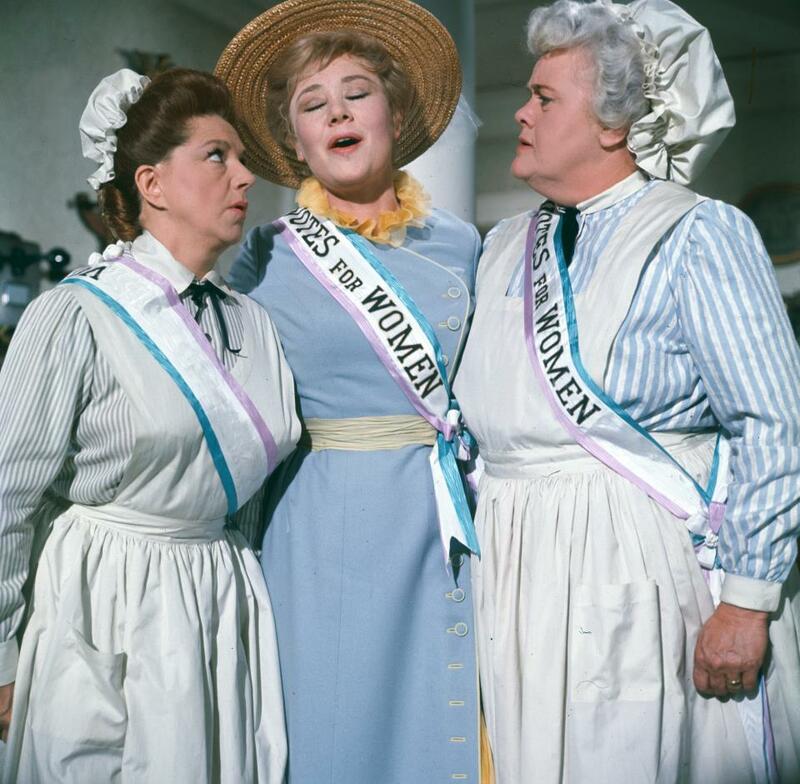 Mrs Banks is more excited by the idea of suffrage than by a deep commitment to a reform of patriarchal society; even Mary is easily flattered by Bert’s compliments and enjoys looking in the mirror, and traditional gender roles are entrenched in every character (as are class divisions). But its critique, and its demonstration of a how a specifically female force can change the world forever remains significant for generations of children. The very house itself, at 17 Cherry Tree Lane, is shaken by Mary Poppins, but what she brings is not really chaos, but a different kind of order, one which follows its own rules and intentionally undermines the rules of Mr Banks’s world, offering a new freedom for the whole Banks family, without undermining social rules to the extent that it becomes ‘dangerous’; class, manners, respectability and afternoon tea are important to Mary, who prides herself on being ‘practically perfect in every way’, but the patriarchal institutions of society, the well-ordered family and the bank, are shaken up as if to demonstrate the possibility of social anarchy, which can be combined with a loving family and also guidance and boundaries for children. Thank you! Good to know it wasn’t just me! The author herself, Pamela Lyndon Travers, distinctly disliked the Disney film precisely because of its treatment of the Suffrage element. In the film Mrs Bank’s dedication to the cause seems shallow and trite and by extension this reflects upon the Suffrage Movements as an idea. The film reinforces the general conservative post-war 1950s american view of making fun of little women getting upset at things and everything coming right when the little woman falls back into line. The themes in P L Travers original book are much more subversive and radical. Also removed is the explanation for Mary Poppin’s magical powers. Part of the back story for her in the 1934 first edition is that she is recently returned from India where she had been for several years studying as a Sufi adept. This implies not only that she is a witch, but specifically a Muslim witch. Thank you, that’s really interesting. It’s a while since I’ve read the books but I must dig them out and reread them!